Film Festival Circuit Inc., is a partnership of Film Festival Events in the United States. We accept film and screenplay submissions from international independent filmmakers. Then, we judge and score each submission in order to present the highest rated films for theatrical release. Have you read our article, Film Festival Submission Tips? This is a great resource that may help strengthen your submission for the Film Festival Circuit. The following is a list of our events. "It was so good to finally meet you (Mikel Fair) in person at the Portland Comedy Film Festival 2018 last Saturday, and such an honor to be recognized among so many talented artists. It meant a lot. I had a fantastic time and really enjoyed the films and just the warm, friendly atmosphere - something you don't find everywhere ..."
Have you ever wondered what criteria we use to judge for our comedy film festivals? Our process for selecting comedy films, dark comedy films, funny music videos and web series episodes is pretty straight forward. When my wife Brooke and I started the Houston Comedy Film Festival in 2008, there weren’t many resources available that would clearly explain the judging process. Over the years, we have a developed a system that is fair and ensures that we always present a great line-up of films. We have created the Film Festival Judging Guide. It covers the following genres. "The Horror Film projects that you are screening are really stunning, it is amazing to see how the genre is alive. Oregon Scream Week is Absolutely Big Fest!" A huge THANK YOU to you and the other readers for your positive comments and, especially, for the delicious, thoughtfully-considered, nuanced suggestions. This is my first comedy script, so I am thrilled that you all "got it", and I am very excited to take advantage of the opportunities you presented to fine-tune. You all made me laugh out loud imagining some of the revisions! The BEST $25 I've spent in a while! "Thank you so much for everything! We were so excited not only to be part of the Oregon Short Film Festival but to be an award winner as well! Hope to see you in the years to come." I've never been to a film festival before and this was so awesome! The program was so fun and different. It felt like I went to Film School, there were so many independent and fun ideas. One film made me cry. I got to meet actors from some of the movies too. 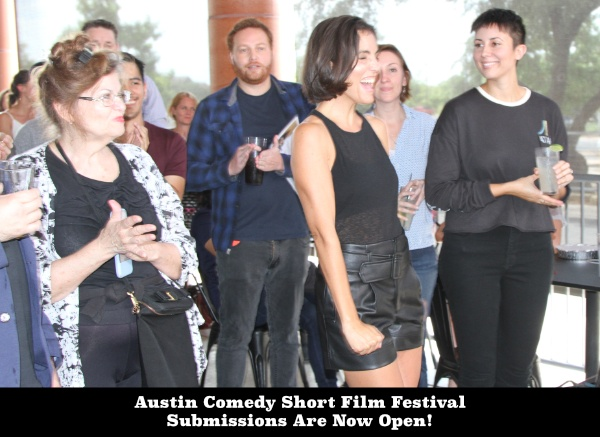 This is a breakdown of the type of submissions we received to the Austin Micro Short Film Festival 2018 season. 390 overall submissions. 82 films selected. 30 screenplays selected. Screenplays are no included in the graph below. Thank you for putting on such a fun event. Great page you have created for my film, The Peacock, thanks! It was wonderful to be a part of your festival and a nice bonus to be nominated for best international director. I'm flattered that my film from Australia made such an impact with the judges and the Texas audience. Are you looking to screen your film at a dedicated Documentary Film Festival in Atlanta or a passionate Documentary Film Festival in Oregon? A couple of years ago we launched the Georgia Documentary Film Festival and Oregon Documentary Film Festival to meet the demand for this genre. Documentary Film enthusiast really love the education, research and dramatic stories that our judges have selected. Learning something new about science, history or life in foreign countries, is an opportunity that attracts a special dedicated audience. The support for international independent films has been amazing in Atlanta and Portland. Are you ready to send us your Documentary Film? Thank you for that flipping awesome shout out on TWITTER about our film "Lunch Ladies!" Putting together all those photos - all that takes so much time - thank you for working so hard to promote Oregon Scream Week! Clarissa Jacobson	Writer/Producer of "Lunch Ladies"
Thank you so much for choosing my music video as the winner! I am truly honored! You've made me the happiest girl ever! 🙂 I had an amazing time at your event! Thank you so much for having me! "Baby Making Time" won an award at #PortlandComedyFilmFestival 2018. So Funny with such great acting! Thank you Mersiha Musovic for travelling from Canada to Portland for the screenings! "Dirty Cops" screening at #PortlandComedyFilmFestival 2018 Sold Out Theater. An amazing night of laughs! Who Runs All Of These Film Festivals? Mikel and Brooke Fair started the Houston Comedy Film Festival in 2009 to give filmmakers a place to screen their comedy films and target the independent film audience. Mikel Fair worked in production and post production in the film industry from 1999-2015 as a Freelance and Union Location Sound Mixer. Mikel also worked as a Field Producer and Production Manager in the Television industry from 2009-2015. 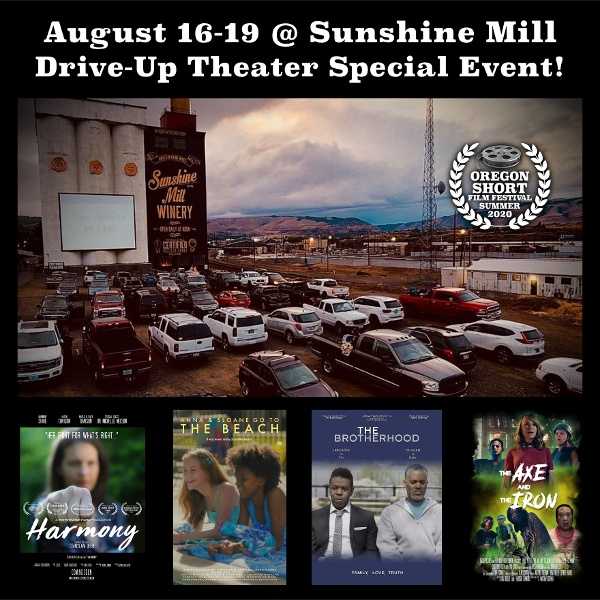 Mikel and Brooke moved from Texas to Oregon in 2015 and are now producing film festival events full time under the name Film Festival Circuit Inc.
Why Do You Have So Many Events And How Do You Do It All? It’s pretty simple, we love screening independent films in theaters for people that really appreciate independent filmmaking. We don’t produce these events by ourselves. 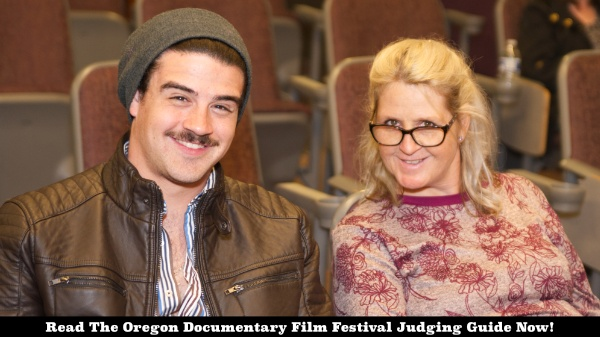 We have over fifty judges in Texas and in Oregon that watch films and read screenplays all year around. Some judges prefer specific genres like comedy, documentaries or horror films. Others like to watch everything. We pay all of our judges a small portion of each submission fee collected. It’s kind of like binge watching Netflix or Hulu, but you you get paid to do it. "You're doing such a great job of promoting the selected works on Facebook and Twitter. So much better than other festivals! I'm sure all the filmmakers and screenwriters appreciate it. I know I do!"